Does money make it easier to have an amicable divorce? Is there such a thing as an amicable divorce? Well the Bezos’s seem to have found it. Jeff and MacKenzie Bezos whose joint wealth was estimated at about 151.8 billion dollars, have announced on Twitter that they have come to a divorce settlement, and have only good words and wishes for each other. There are those who might say, that with so much money between them, it is not so hard to reach an amicable agreement, and they may have a point, but the recent press surrounding the Pierburg divorce begs to differ. Jurgen Pierburg is one of the richest men in Europe and is currently embroiled in a nasty divorce with his wife Clarissa. At the moment they are in the English courts, where Clarissa is hoping to establish residency to fight her divorce under the notoriously generous English divorce laws. The contrast between the two divorces is evidence that irrelevant of the circumstances the attitudes of the parties are what dictates the way the divorce proceeds. 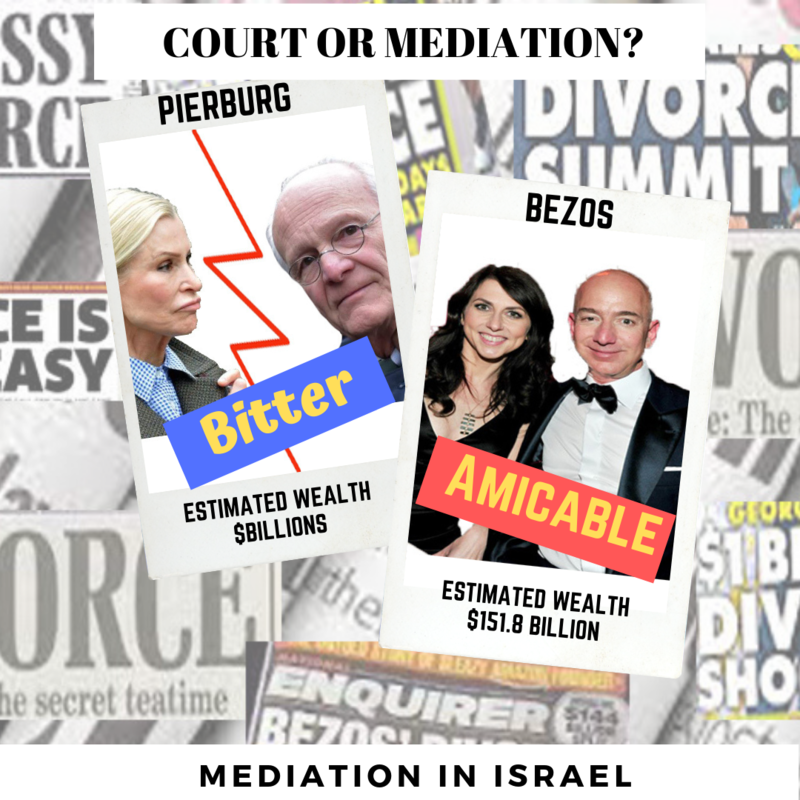 Whilst Mr & Mrs Pierburg will be fighting in the courts, The Bezos’s are now free to continue their lives.